My mindset reset has only just begun, Lord. Thank you for helping me! And thank you for the pleasure I heard from others with whom I shared this idea. They love it because they love YOU, Lord. 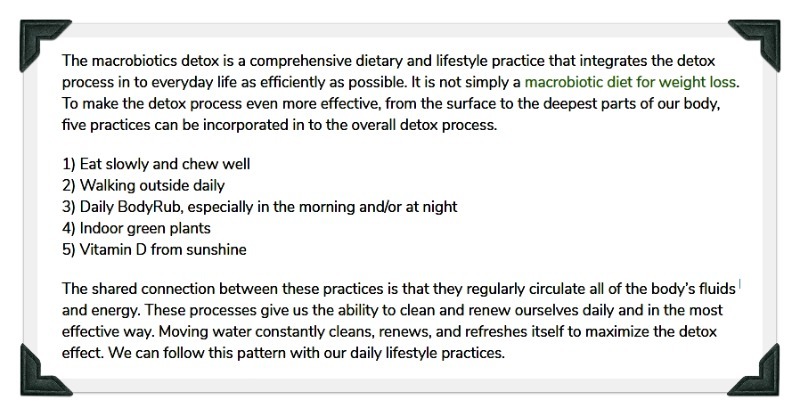 This is my mindset reset in action for the new year. Yes, it's already begun. My mindset reset includes the popular notion of "attitude of gratitude" because I am grateful for the opportunity to spend time alone with God on Rosh Hashanah and Yom Kippur. Developing my unique, specific gratitude and excitement has taken me many years. It is not typically Jewish to congregate with God alone on the Head of the Year and the Day of Atonement. In fact, attending synagogue services on Rosh Hashanah and Yom Kippur is considered obligatory. Go to services or die - literally. Most people who do not have the means or the life circumstances to attend services are not eager to die as a result. So, anyone who longs to connect with God on the Days of Awe, but has no way to attend services, has a big dilemma. One common solution to this dilemma is to ignore the significance of the days altogether. Just pretend they are normal, not holy. 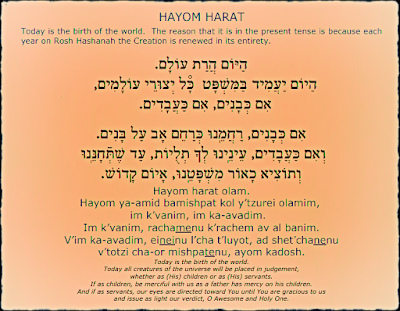 Ignoring Rosh Hashanah and Yom Kippur is the simple choice of many Jews, around the world. But it is not my choice. I choose to pick up a prayer book and read it out loud by myself. 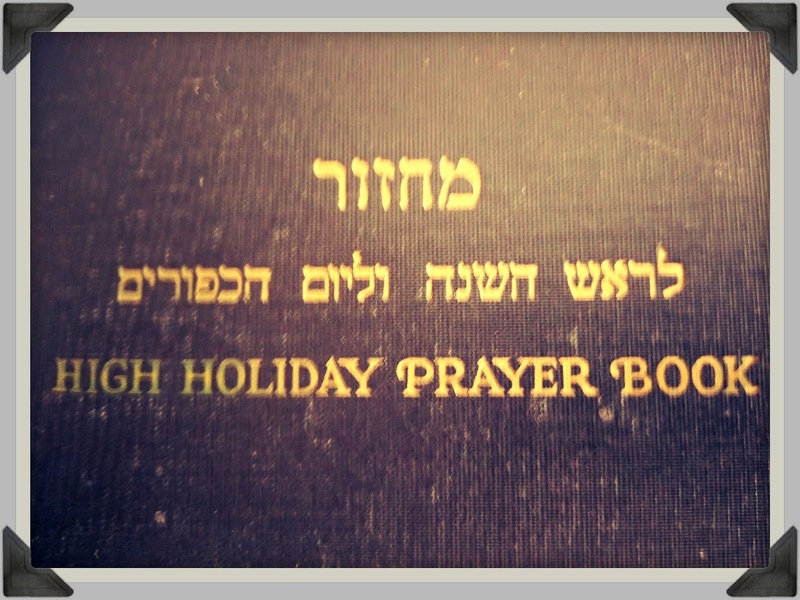 One secret to having a cheerful attitude of gratitude by yourself on the High Holy Days is to plan each day in advance. We plan ahead when we're expecting guests, and in reality we are expecting the most important guest of all - The Most High God. 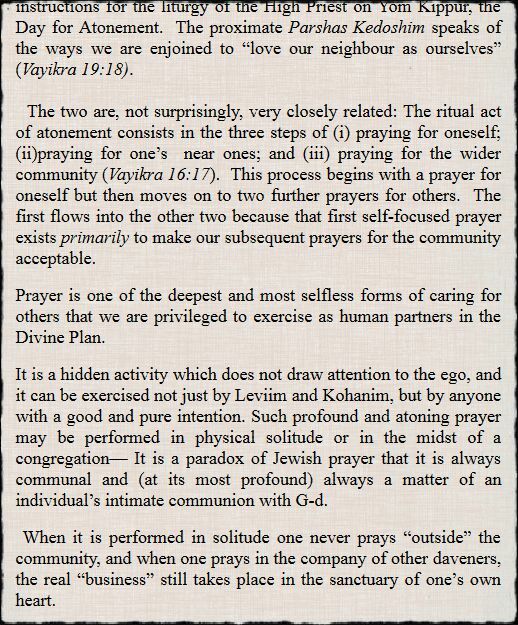 Advance preparation for Shabbat and other holidays is a mitzvah, and it's not necessary for other people to be in attendance, for our preparation or our services. Today is 9-9-18, September 9, 2018. I am experiencing a major download of blessings from God today, very clear answers to long-standing prayers. Oh, Lord, thank you for the WONDERFUL gift ideas that flowed in as pictures while I was ironing the table runner I'm preparing to make by sewing hems around the fabric. I'm making it for my Solitary Rosh Hashanah this evening and tomorrow, 9-10-18. Did you schedule this precious download for 9-9-18? Here it is - I will go to old, aging Jews, confined Jews, isolated Jews, Jews alone as I am, and share songs, prayers and the sound of the shofar with them. Yes! I can see it! It's not about being up on a stage in front of a group, it's one-to-one or one-to-a few. My greatest gifts are for the people who are isolated, or whose friends may be gone, or they are not Jewish. People whose families do not include them or simply do not keep Jewish holy days. My gifts are for people who are isolated from Jewish Holy Days by their situation and their circumstances. Oh, Lord, I am smiling so wide and deep as I hear, in my spirit, "If you build it, they will come." Yes! I built this blog on Thursday and Friday, and added to it on Saturday night. 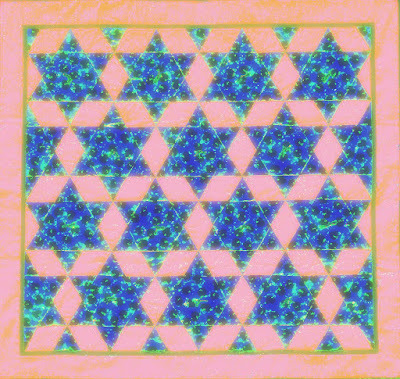 And now, just now, today, 9-9-18, you gave me the greatest gift of my real-life mitzvah, the personal good deed I can do for others. I don't have to know WHO will come yet, but I surely know WHAT will come. The ideas and the blessings are coming in already. I built it and they are coming, the ideas and the blessings, the answers to my prayers for service, the instructions I've been praying for! "Almighty God, eternal Ruler of the universe, Thou art revealed in the harmony and the beauty of nature. Thou art also manifest in the lives of good men and in the righteousness of nations. Keep our nation forever righteous and just. 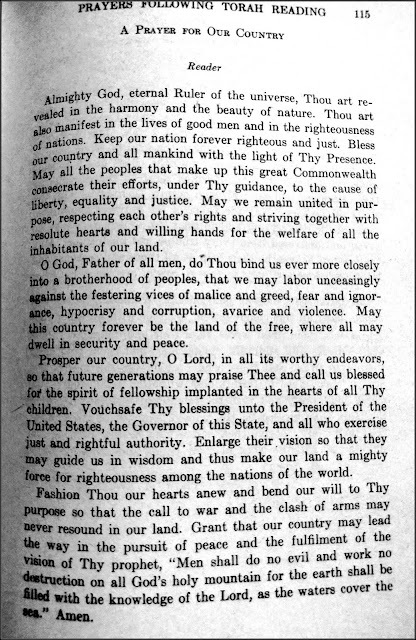 Bless our country and all mankind with the light of Thy Presence, consecrate their efforts, under Thy guidance, to the cause of liberty, equality and justice. May we remain united in purpose, respecting each other's rights and striving together with resolute hearts and willing hands for the welfare of all the inhabitants of our land. Oh, God, Father of all men, do Thou bind us ever more closely into a brotherhood of peoples, that we may labor unceasingly against the festering vices of malice and greed, fear and ignorance, hypocrisy and corruption, avarice and violence. May this country forever be the land of the free, where all may dwell in security and peace. Prosper our country, O Lord, in all its worthy endeavors, so that future generations may praise Thee and call us blessed for the spirit of fellowship implanted in the hearts of all Thy children. Vouchsafe Thy blessings unto the President of the United States, the Governor of this State, and all who exercise just and rightful authority. Enlarge their vision so that they may guide us in wisdom and thus make our land a mighty force for righteousness among the nations of the world. Fashion Thou our hearts anew and bend our will to Thy purpose so that the call to war and the clash of arms may never resound in our land. Grant that our country may lead the way in the pursuit of peace and the fulfillment of the vision of Thy prophet, 'Men shall do no evil and work no destruction on all God's holy mountain for the earth shall be filled with the knowledge of the Lord, as the waters cover the sea.' Amen." "Our Father and Guardian of our destiny! On this Rosh Hashanah Day which bridges two periods and separates the old from the new, the past from the future, we gather in Thy Sanctuary to worship Thee with gratitude in our hearts and faith in Thy loving kindness. On this Day of Judgment, we stand arraigned with all Thy creatures before Thee. We review in humility and contrition our thoughts and our actions, the things we have done and the things we have left undone. Purge us of pretense and guile so that we may approach Thee with clean hands and a pure heart. On this Day of Memorial we recall the lights and shadows of the year that draws to a close. We need Thee, O God, even as our fathers needed Thee in their trials and vicissitudes. As we face the uncertainties of the hidden future, we pray Thee, be with us and grant us broader vision, deeper courage, and stronger faith for the days that lie ahead of us. On the Day of Sounding the Shofar, we pray that glad tidings of redemption may come to Israel and to all nations of the world. 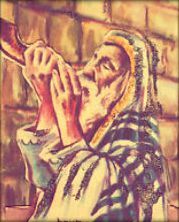 Grant that the strains of the Shofar may bring hope and salvation to the destitute and forsaken. 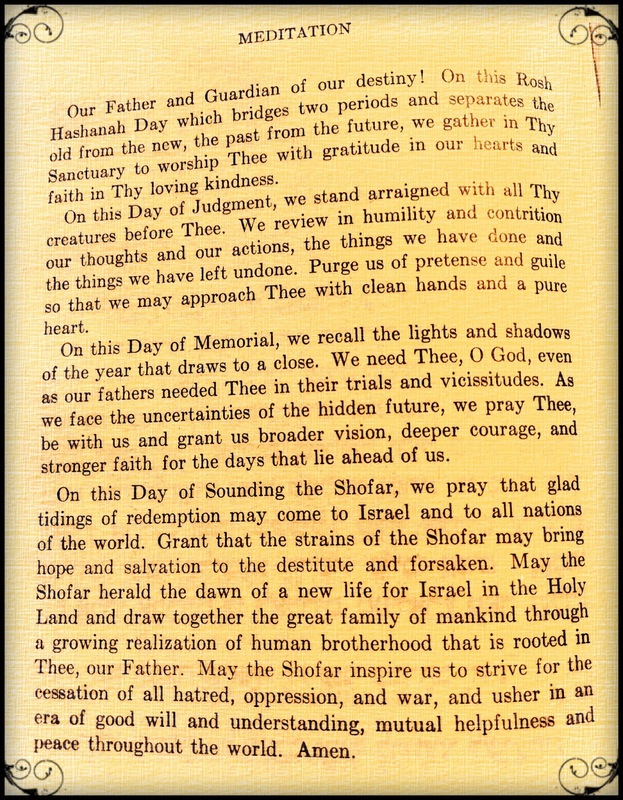 May the Shofar herald the dawn of a new life for Israel in the Holy Land and draw together the great family of mankind through a growing realization of human brotherhood that is rooted in Thee, our Father. May the Shofar inspire us to strive for the cessation of all hatred, oppression, and war, and usher in an era of good will and understanding, mutual helpfulness and peace throughout the world. Amen." 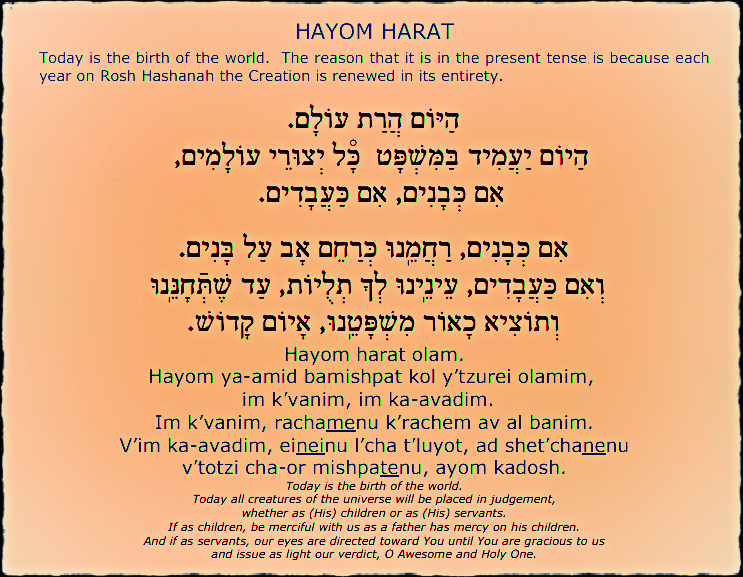 Thanks to David's tireless, generous services at Kabbalah4All.com and his accompanying Machzor, I'm sharing these inspiring words and graphic, "Today is the birth of the world. The reason that it is in the present tense is because each year on Rosh Hashanah the Creation is renewed in its entirety." I am moving through the Days of Awe with sense of anticipation, and staying on "high alert" for opportunities to give to others, as well as receive the blessings offered to us during this season. And I am really looking forward to my Solitary Yom Kippur this year! For many years I have noticed, when praying out loud, I often start with prayers for my own change and growth, then for my family and loved ones, then for my community and my world. That pattern has become a habit. Prayer is often the only form of love we are able to give to others in this world, even to our loved ones far away. I'm so grateful for the inclination, motivation and opportunity to pray, during the Holy Days and every day. What a wonderful blessing is the "mini workshop" called Teshuva From Love, presented by Tamar Taback of TheNexus.org. 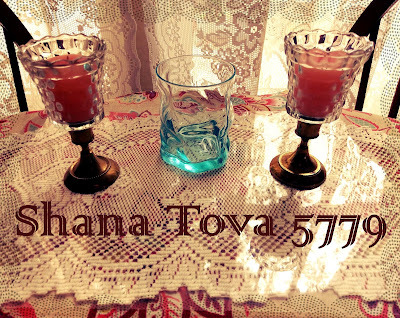 Much of what I'm learning this year gives me a deeper understanding of the Holy Days. Tamar's workshop gives me a deeper understanding of myself doing teshuva. She said, "The process of life is the process of teshuva, and the searching is the finding." Finding my opportunities to give, that's the finding I'm searching for yet again. In the past year I made some assumptions about what I should be giving to others, which didn't all work out well. My teshuva this year has a focus. My focus is finding the type of giving that works for God's purposes, not my own desires or self-appointed purposes. Giving from my own desires is an issue I've been wrestling with for decades, and while I've made progress, it's still my top teshuva, yet again this year. Giving to others can offend and wrong them, even when the giving comes from good intentions. 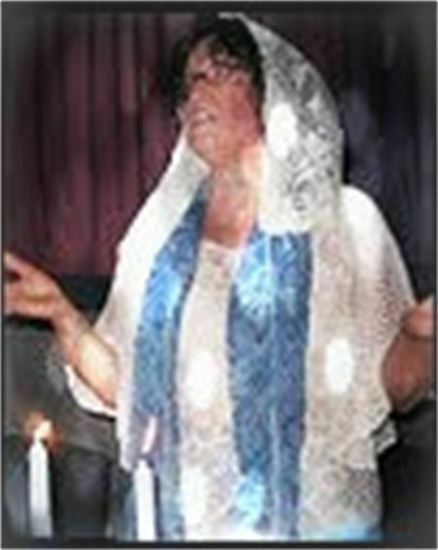 Tamar also said, "The way we do teshuva is by accepting our imperfections and not having shame that we're not perfect." Healthy shame, yes... toxic shame, no. We need a healthy level of shame to identify and face our issues. And that's what we are called to bring into the sound of the shofar on Rosh Hashanah, and finally, again, at the conclusion of Yom Kippur. 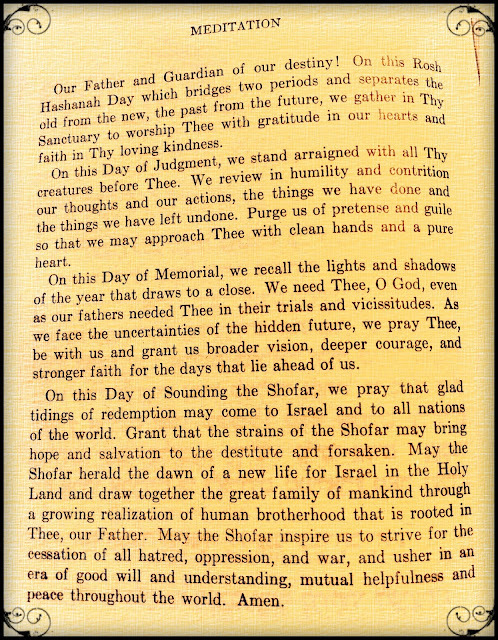 The final shofar blast is the departure of our opportunity to do teshuva, and that blast takes our shame along with it. 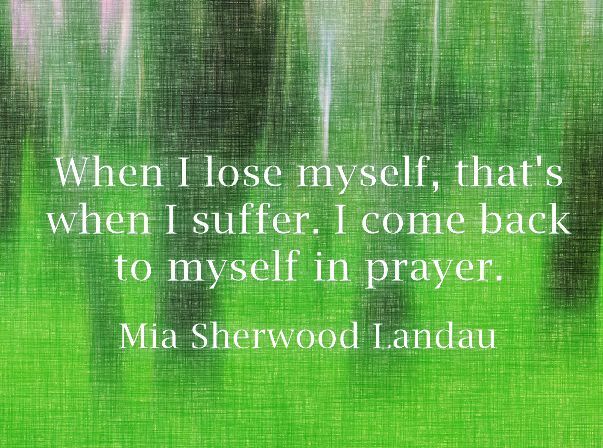 As Tamar said, "The shofar has the potential to bring you back to your true self." No teacher but my Almighty God is needed to help me face another of my issues in the new year. I just need to eat less food. My new goal is to eat half as much food at each sitting. And, thanks to Geneen Roth, I do mean sitting, not standing at the stove or hovering over the kitchen counter. Returning to my normal body weight will truly exemplify my returning to my true self! How I love the following quote from the late (2009) Rabbi Alan Lew's unique book, This is Real and You Are Completely Unprepared, "Transformation does not have a beginning, a middle, or an end. We never reach the end of Teshuvah. It is always going on. We are awake for a moment, and then we are asleep again. Teshuva seems to proceed in a circular motion. Every step away is also a step toward home." The warmth in my heart and soul cannot be described when I look out the window at my Texas Redneck Sukkah, built today by my genuine Texas Cowboy husband. He's really into any project that involves his tractor, which of course was needed to transport the pallets. My sukkah is erected and it's only the day after Yom Kippur, September 20, 2018! 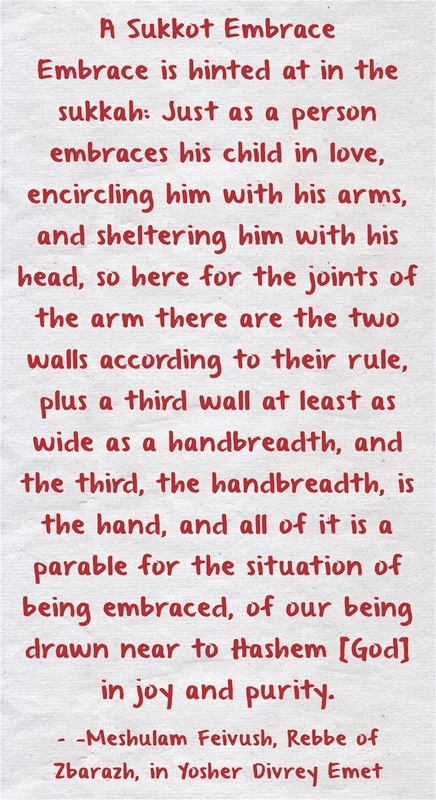 Rabbi David Seidenberg shared the following quote on his Neohasid.org website. 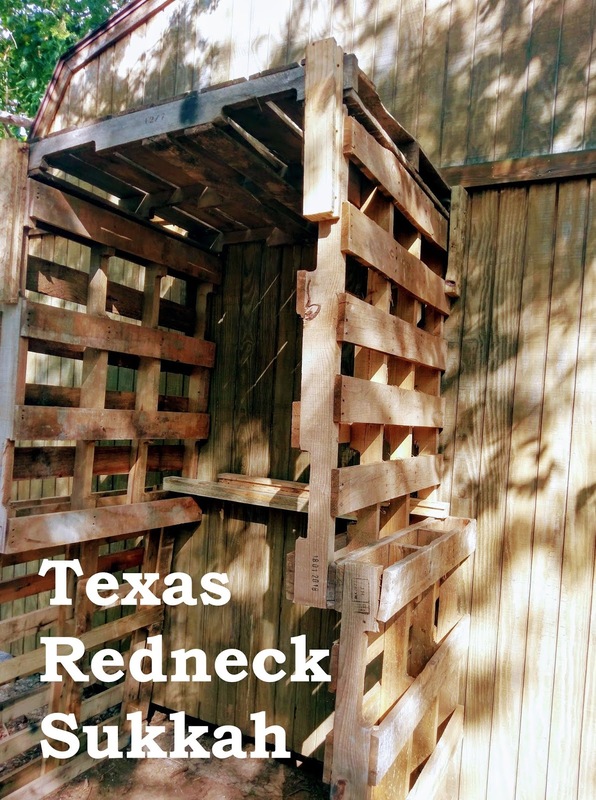 To me, my little Texas Sukkah represents the perfect place for this experience! Today is the 8th day of Sukkot, Hoshanah Rabah. This is not the first year I've seen what appeared to be miraculous coincidences in my real life, but are definitely occuring this year, 5779. I have been perfectly cultivated and I am perfectly situated for my real purpose now. 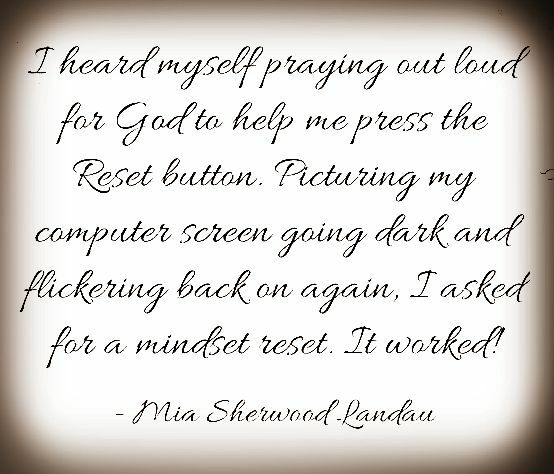 What does repentence look like in my life now? 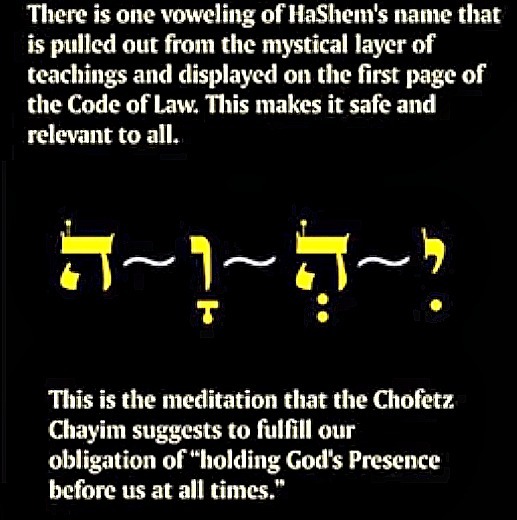 Look at what Hashem has done so far because I was willing! It's the end of October and the solitary learning and growing, begun during Elul and experienced during the High Holy Days, is continuing in my life now. Taking a correspondence course called Prayer & Destiny is how I'm connecting, with tangible blessings in abundance. So many blessings it's overwhelming! I thank Hashem for this overwhelm, and this Emunah. Rabbi Alon Anava says, "Emunah is beyond reason." Yes, I agree! 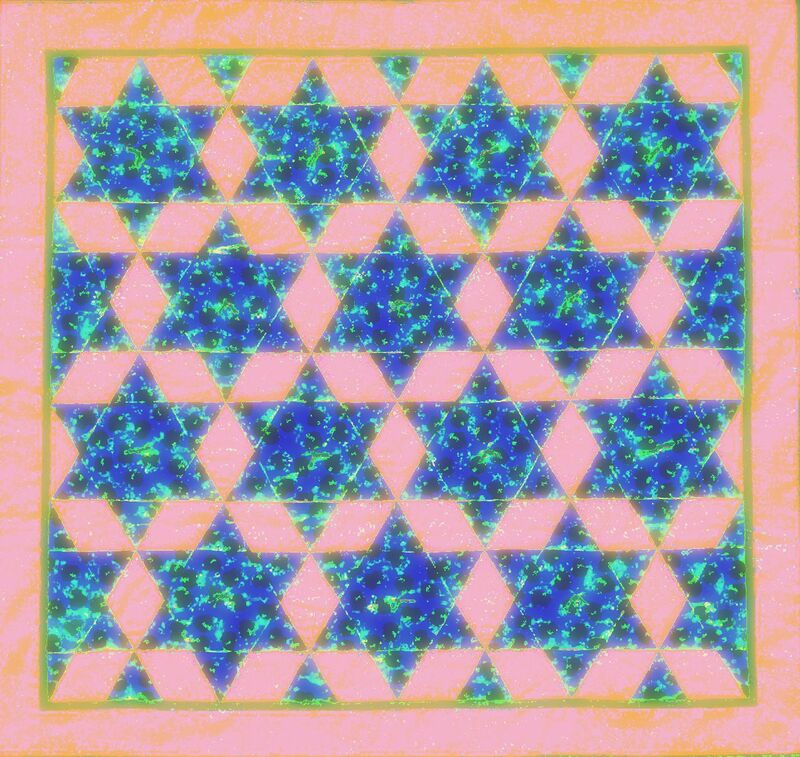 Today is Zot Hanukkah, 12/10/18. 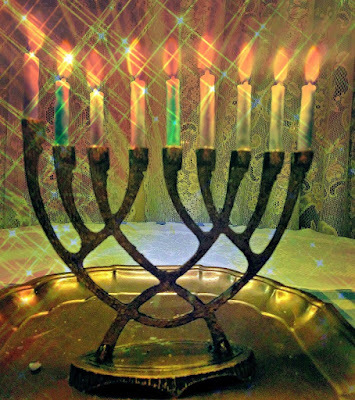 It is the final day of the Eight Days of Hanukkah 5779. I've been paper-journaling the Hanukkah miracles in my life, and the lives of others for whom I've been praying over the last three months, throughout the month of Elul, the High Holy Days and the weeks leading up to and through Hanukkah. It all leads up to today, my final opportunity to enjoy the special light and miracles. I have confident expectation in miracles this time of year! Listing the good things I see around me is a very positive exercise, dispelling the tendency to notice and recount bad things, an all-too-common bad habit of mine (and of other people I know.) This exercise is the critical first step in transforming myself into a person who confidently expects that God is providing everything I need for my optimal growth, all the time. And the same is true for other people, groups and nations, as small increments of this entire world. This quote from Michael Strassfield's book, The Jewish Holidays, describes Zot Hanukkah simply as, "The last day of Hanukkah is considered by some people to have a special significance as the culmination of the holiday, the day when the menorah burns the most brightly... According to one tradition, Zot Hanukkah means, 'This is the essence of Hanukkah.'" The special significance of Zot Hanukkah for me this year starts with the fact that it's the first time I've put attention on it as special. It is the first time my oldest grandchild is choosing to commemorate the holiday, also in solitary celebration. 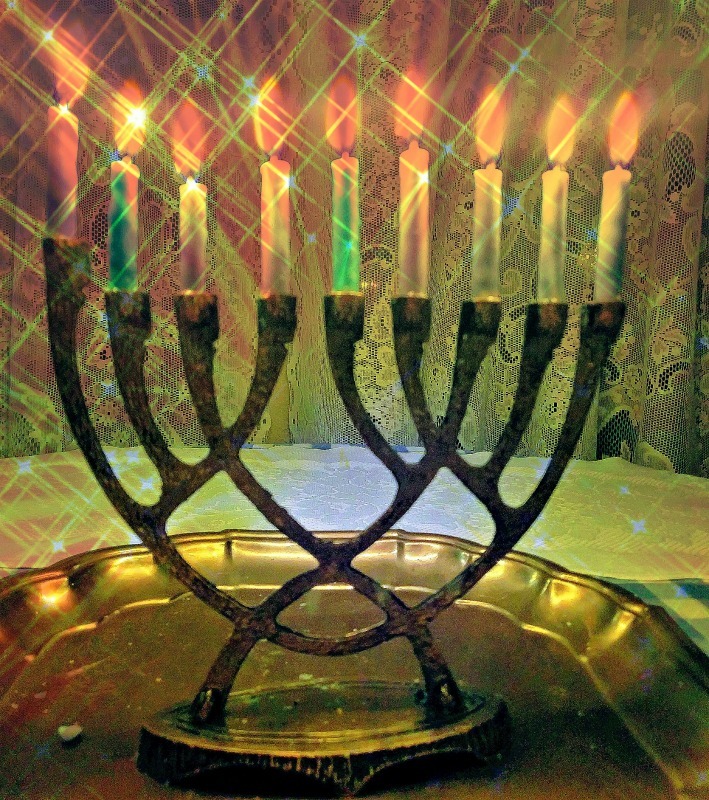 So, I am honoring this day by recounting my Hanukkah miracles and by choosing Ein Od Milvado as the phrase reminding me of God's ultimate control over me and my passionate desires, plans and purposes to serve Him. I am experimenting with this sound in silent meditation. It is never spoken aloud, unlike personal prayers and traditional prayers. Looking at it and hearing the sound in my head is connecting me to my Creator as Ein Od Milvado as I go forth out of the "Holy Day Season." So, my soul and my body are going to benefit from these ideas gleaned during Elul, the High Holy Days and Hanukkah this year, 5779. Thank you, Lord! Ein Od Milvado.